Through a partnership with JPMorgan Chase, LIIF provided Bronx Lighthouse Charter School (Bronx Lighthouse) with a New Markets Tax Credit (NMTC) allocation and a subordinate leverage loan to build a new high school in the South Bronx. JPMorgan Chase also provided a senior leverage loan to support the school. Bronx Lighthouse is a six-year-old, high-performing charter school operating in one of the poorest neighborhoods in New York City. 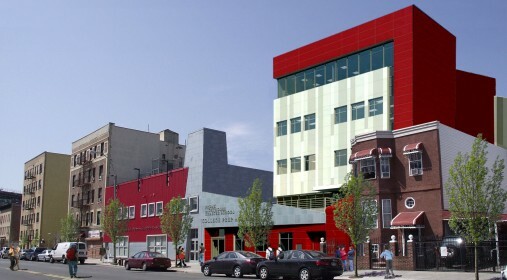 The NMTC transaction will enable Bronx Lighthouse to build a new 30,000-square-foot high school campus, adjacent to the school’s current K-8th grade campus in the South Bronx. The school currently serves 460 students and will grow to 640 students upon completion of the new high school. Over 85% of its students are eligible for free or reduced-fee lunch. This transaction is part of a partnership with JPMorgan Chase to invest $30 million in high-performing charter schools.